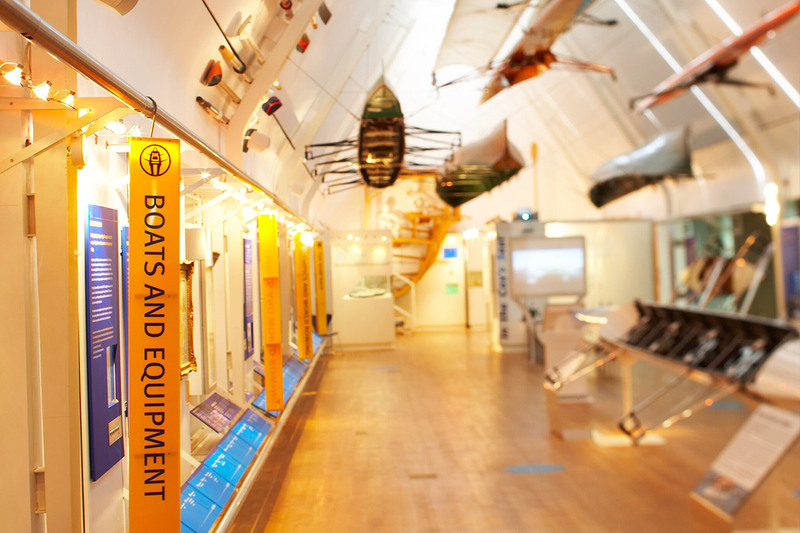 Experience the history of rowing from the ancient Greeks to the modern Olympic Games. See boats of all shapes and sizes in this awe-inspiring space. Check out the size of Sir Matthew Pinsent’s shoes in the 2000 Olympic boat! 2018 marked the 80th anniversary of the first television transmission of the Oxford and Cambridge Boat Race. To mark the anniversary, we have a special temporary exhibition in the Rowing Gallery celebrating the story of the BBC’s coverage of this iconic rowing event and exploring how this British institution has been popularised by pioneering coverage from the BBC.